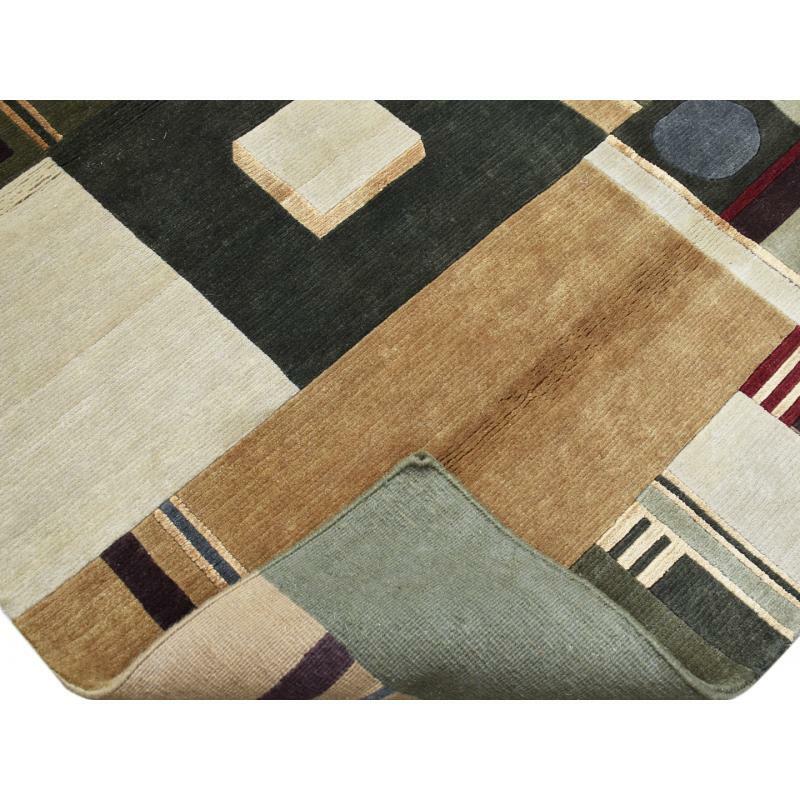 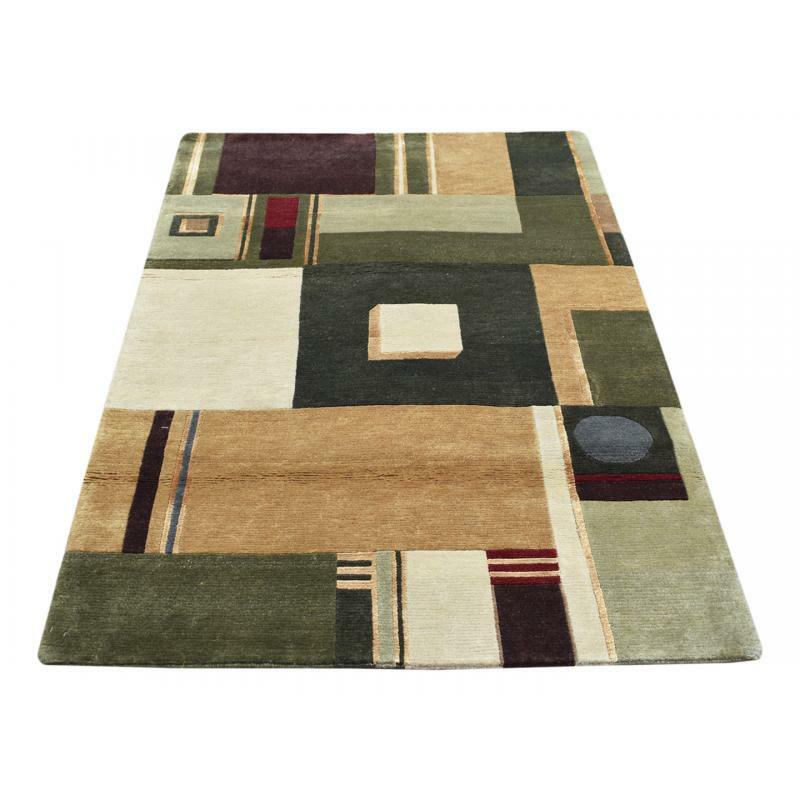 A Bold and beautiful modern rug with different colors like green, grey, cream, brown, red. 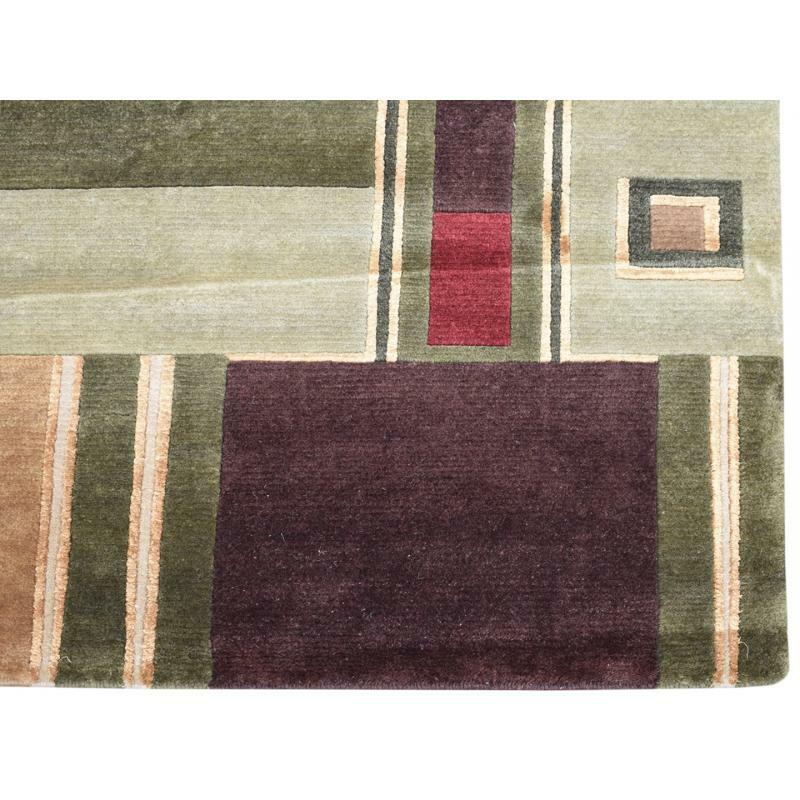 This Oriental Modern, Geometric design rug is handmade and hand knotted with fine quality of wool will definitely add more appeal to your home. 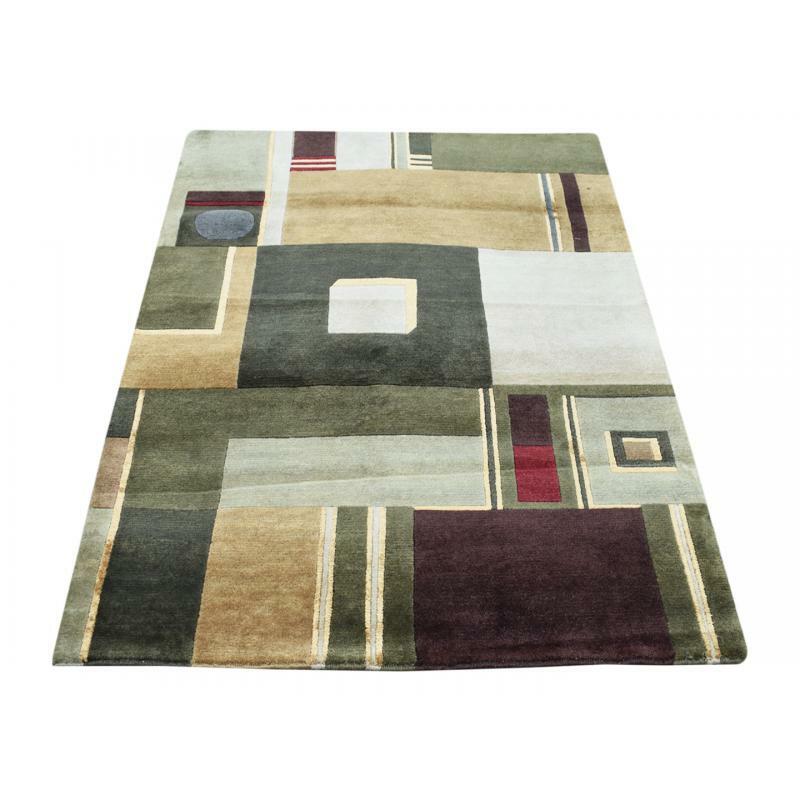 This area rug is sized at 4 X 6 ft. and is quality crafted with the superior durability and irresistible softness.